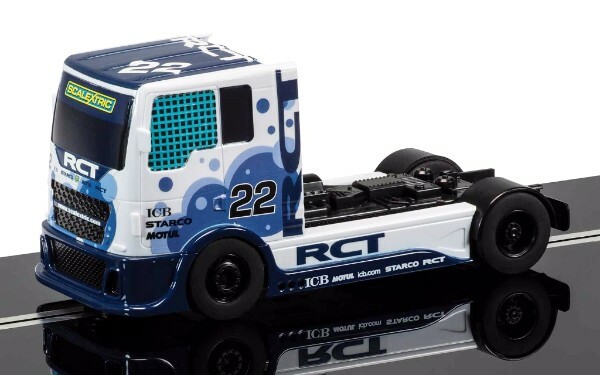 We Discovered A Few Of The Rugged Scalextric Competition Trucks And We Are Offering Them At A Very Special Price. One To A Customer. Please note, due to the height of this product it may be incompatible with some bridges e.g. the Elevated Cross Over – C8295. Please check your layout to ensure height clearance. 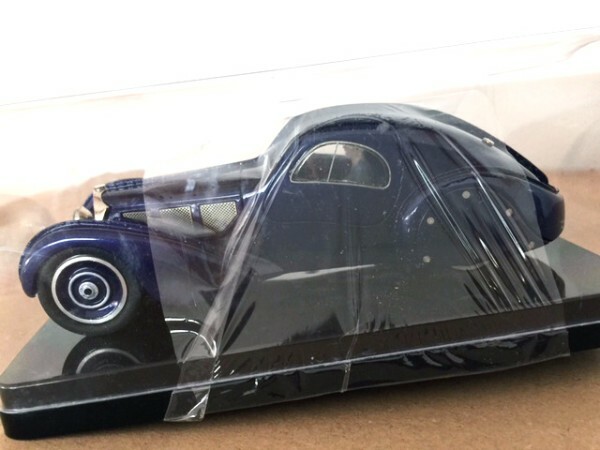 The 1/24 Scale Carrera D124 Ford GT Cars Are In Stock Now!! But Limited Quantities So Order! Now!!. This car will teach the competition what fear is! The Ford GT Race Car is the new version of a Ford racing icon. At the heart of this challenger is the twin turbo, 3.5-litre, V6 EcoBoost engine. Fantastic bodywork is strikingly augmented with a gigantic diffusor for a whole load of downforce. 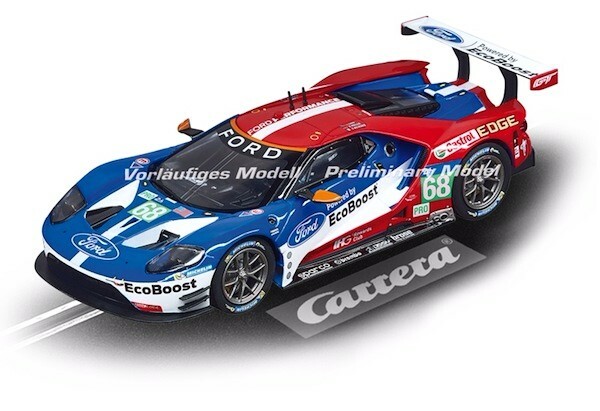 The Ford GT Race Car is a faithfully detailed reproduction with eye-catching headlights, tail and brake lights. This Carrera car can be individually coded, it’s digitally controllable and can also be used on an analogue set-up (Carrera Exclusiv). Enjoy the simple and authentic race atmosphere at home. The Digital Version Of The Carrera Mercedes-AMG GT3 Has Arrived. They Also Run On Any Analog Track And Have Working Lights. With this Mercedes-AMG GT3 great emphasis has been placed on innovative design. Its matt black turquoise Eloxal paintwork makes it a car that just can’t be ignored. The Austrian “Lechner Racing” motor racing team has attracted a great deal of attention at races with this car and won the AMG design prize. With 550PS/542.47 hp under the hood and a V8 induction engine, this excellently equipped racing car is ready to run. 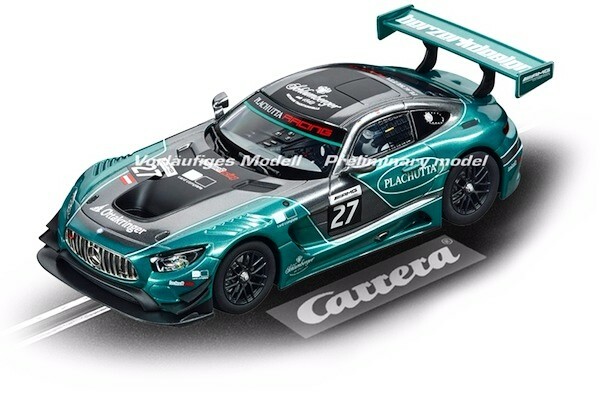 The Carrera DIGITAL 132 Mercedes-AMG GT3 “Lechner Racing, No.27” slotcar is an impressive, faithfully detailed reproduction with head, tail and brake lights. This Carrera car can be individually coded, is digitally controllable and guarantees authentic racing thrills. Two Of The Super-Quick Sideways Group 5 Replicas Are Here, Including Their First Painted Stratos. Get Yours While They Last. 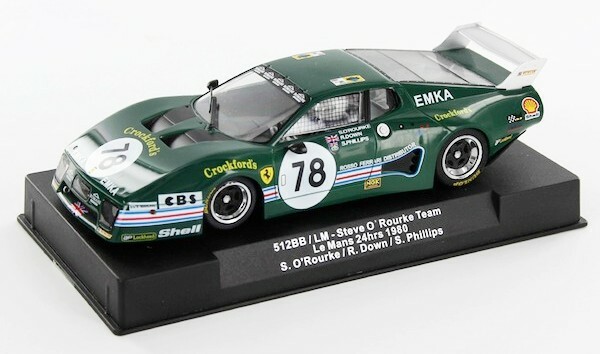 Racer SW51a Ferrari 512BB/LM Le Mans 1980 ‘EMKA’, 23rd overall, drivers A. O’Rourke, R. Down and S. Phillips. Lancia Stratos Marlboro winner giro d’italia 1976 number 598. 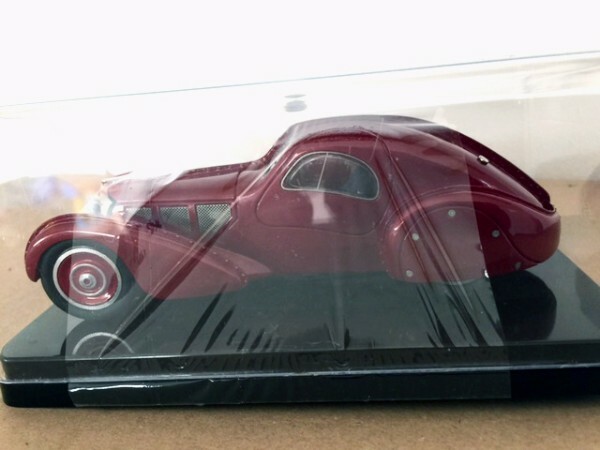 Hand-Made Cast-Resin And Etched-Metal Replicas Of One Of The Most Valuable Cars In History, The Bugatti Atlantic, Are On Their Way But There Will Only Be A Few So Pre-Order Yours Now. 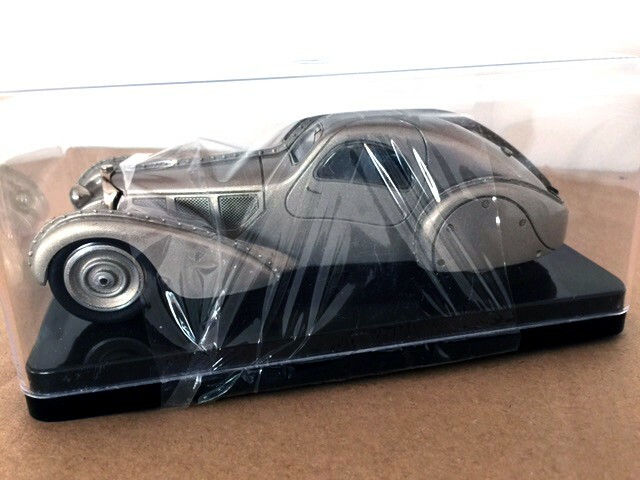 The Classic Peugeot Diesel Record Car From 1965 Has Never Been Produced In 1/2 Scale But The MMK Cast-Resin Ready-To-Race Replicas Are On Their Way So You Can Pre-Order Yours. SF25 Peugeot 404 Diesel Record Car, 1965—PRE-ORDER NOW! Peugeot finished 1-2 at Le Mans in 2009 but their history with diesel -powered racers goes back to 1965 when they produced the 404 “Record” which averaged 160 km/h for 72 hours.